Don’t discount Mississippi when it comes to innovation and advancements. For starters, the state is home to a number of firsts that helped set the tone across America regarding women’s rights. Mississippi set some of the first laws that protected married women’s property rights and it is home to the first state college for women. The state is also home to a number of inventors from Dr. Tichenor to David Harrison (the soft toilet seat inventor). The name “Teddy Bear” even originated in Mississippi and National Geographic is produced here at Ringier-America, Corinth. In addition to innovation and advancements, Mississippi is has another claim to fame—scenery. It has one of the most scenic and unusual landscapes in the country, which attracts the attention of a number of Hollywood productions each year. The state has the only cactus plantation in the world where you can forage (if you dare) through 3,000 varieties of cacti; it has more tree farms that any other state, and according to Mississippicv.org, the Mississippi Gulf Coast—from Biloxi to Henderson Point, is the largest and longest manmade beach in the world. Publishing is big in Mississippi. 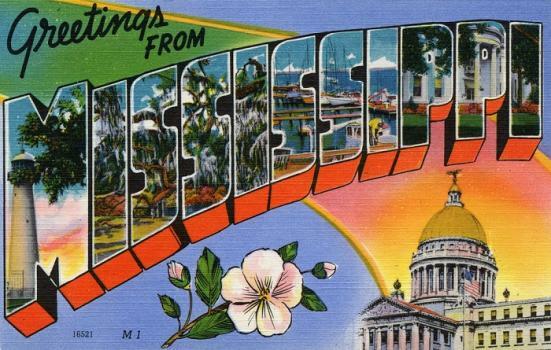 Mississippi has a full service film office and a number of film studios, which also help reel in artists and Hollywood productions of all kinds. If this is not enough to convince you that Mississippi is a great place for artists, consider the number of schools that offer art and design. We have a list of nine of the best—but keep in mind that there are many more. Mississippi is home to a number of colleges that offer degrees that lead to a career in animation in a number of industries. Scroll through the list below to review Mississippi’s best options for aspiring animators and other artists, and what they have to offer. Good news for Mississippi animators. The number of salaried animators living in the state hasn’t increased or decreased in nearly a decade and salaries are on the rise. The state’s 40 salaried animators average $42,070-$45,200 per year, up from $39,940 in 2002. It is important to keep in mind that many Mississippi animators are self-employed and the Bureau does not include employment and salary figures for this large community of artists. In addition, average salaries overall vary greatly by industry, location, type of company, experience & education, and other factors. The mean annual wage for animators and multi-media artists nationwide was $62,810 in 2009. The lowest paid animators earned $32,360 and the highest paid animators earned $99,130.